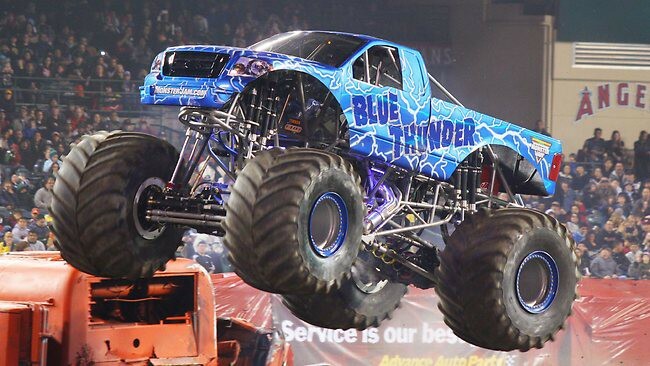 Monster Jam monster trucks are awesome. Just look at that up there. Can you feel the power? Can you feel the destruction? Can you feel the fury? 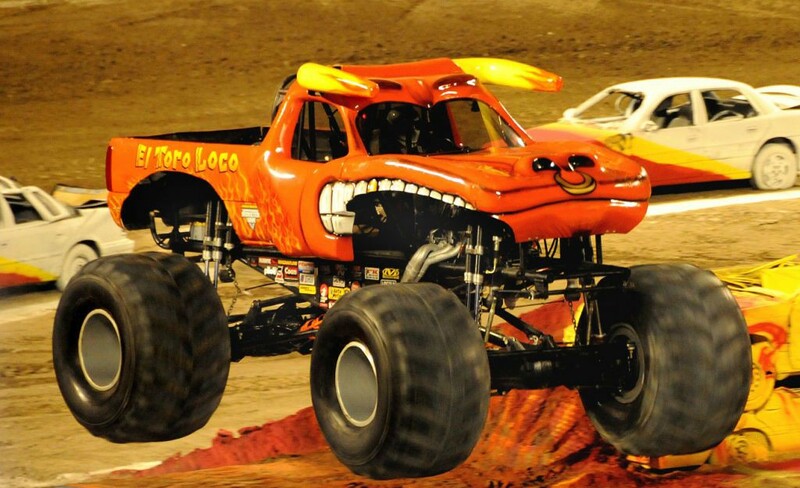 Can you feel el Loco? Can you feel the … the, um … puppy breath? We hope so, because the puppy breath is AWESOME! 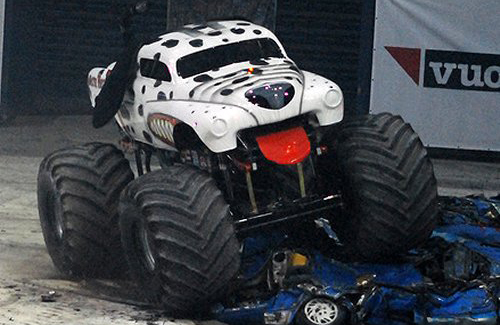 Even the cute and cuddly stuff gets a fierce makeover when it comes to Monster Jam. 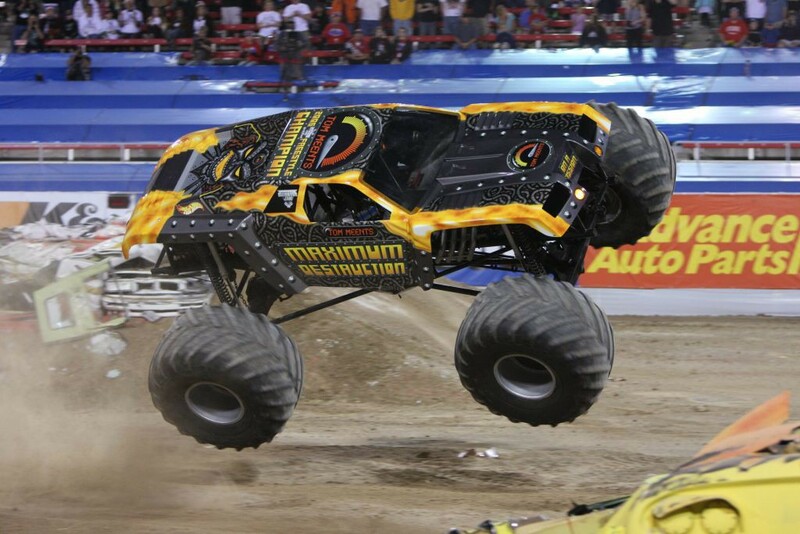 The amazing warrior vehicles of Monster Jam have made it a favorite of kids of all ages everywhere. And when we say “of all ages,” we mean like, from 1 to 92. 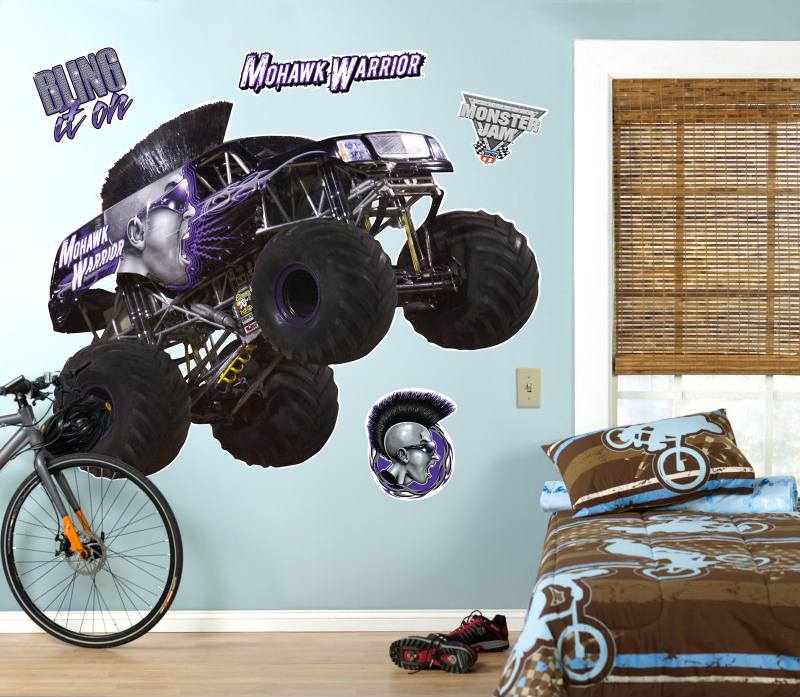 Which means you’re as likely to be a huge fan of Monster Jam as your kid is. Let’s be honest, you’re probably both huge fans. And why wouldn’t you be? Did you see the unadulterated awesomeness up there? 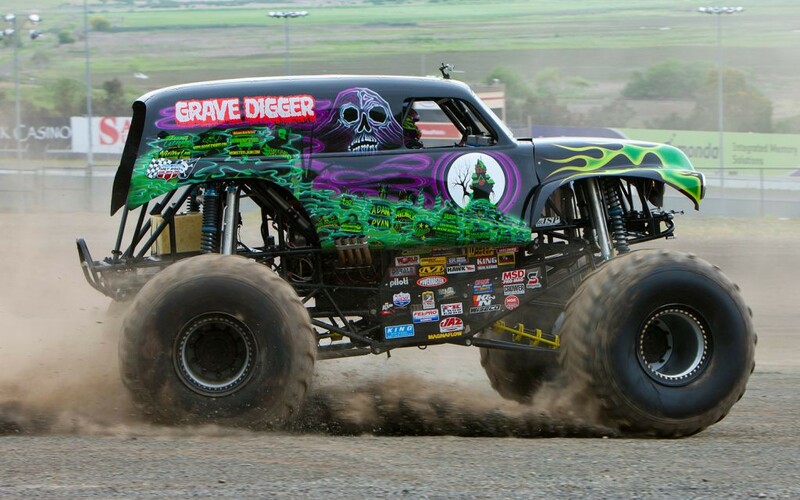 So it’s no wonder that Monster Jam is one of the most popular party themes we sell. 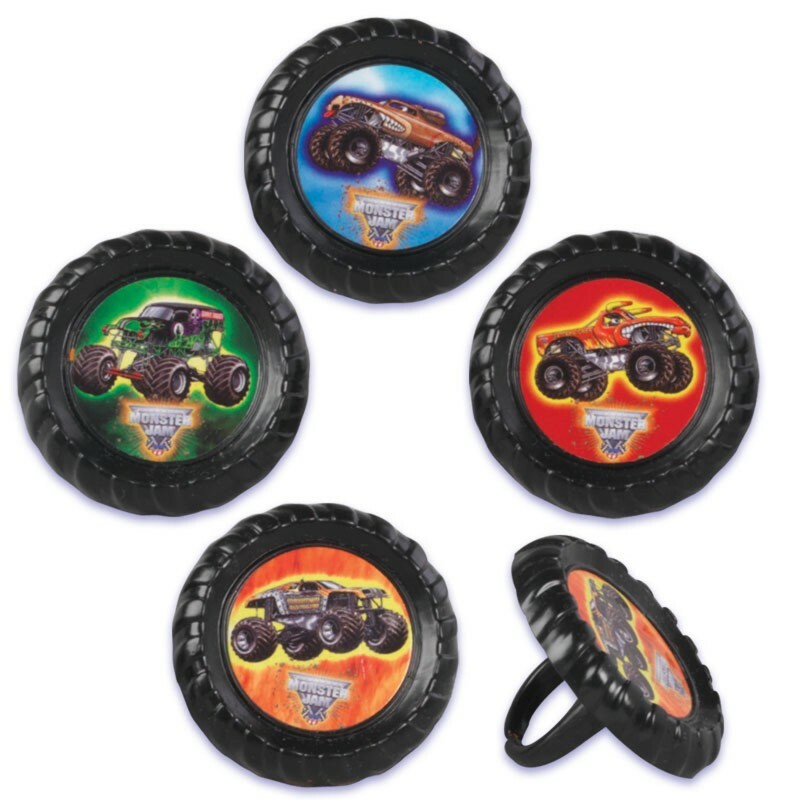 You might have even taken your son or daughter to a Monster Jam party at their friend’s house in the past. 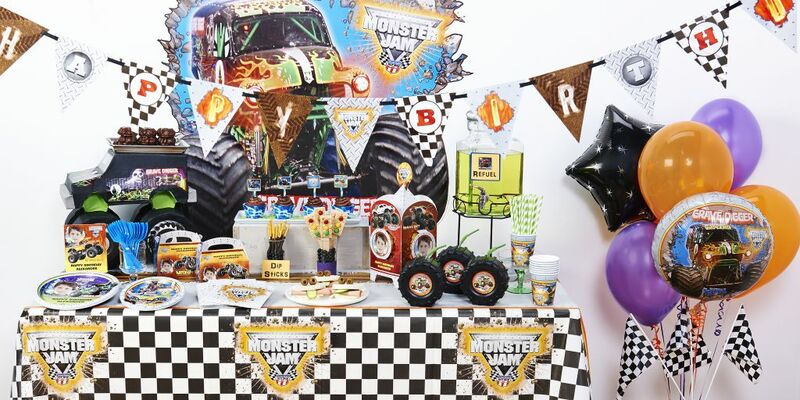 So now that the inevitable has happened, and your child is asking for a Monster Jam party for their birthday, you might be wondering how you can kick things up a notch, and make this party appropriately AWESOME. 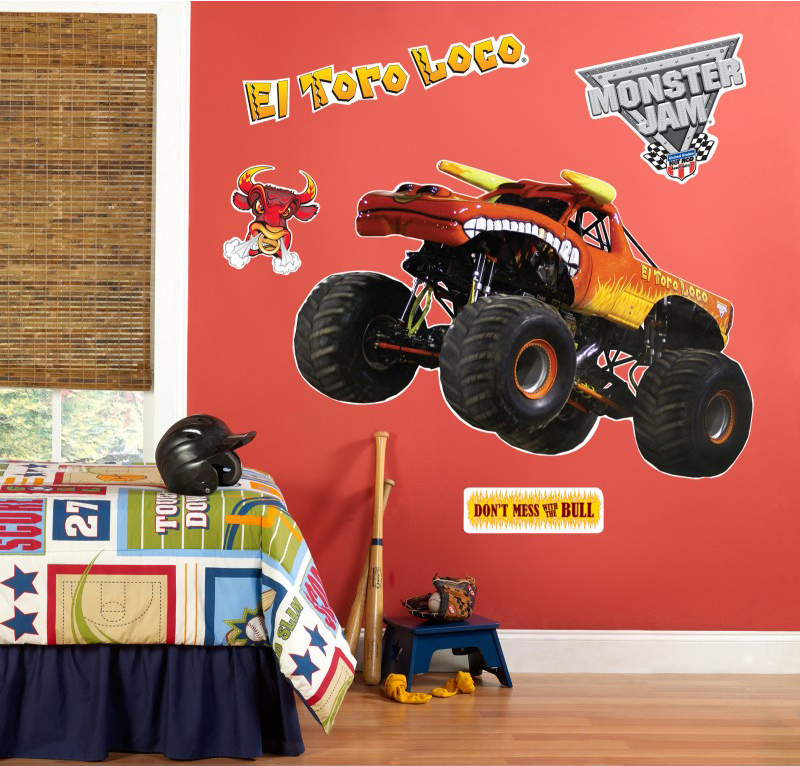 For extra awesomeness, take a look at our amazing Monster Jam DIY Decoration Kits! 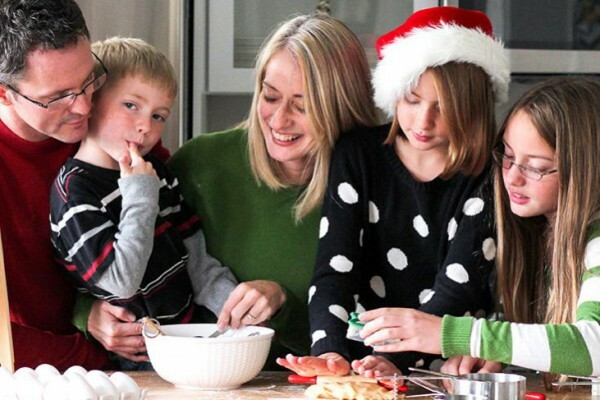 Well, for starters, how does a wide selection of photo-personalized party supplies sound? 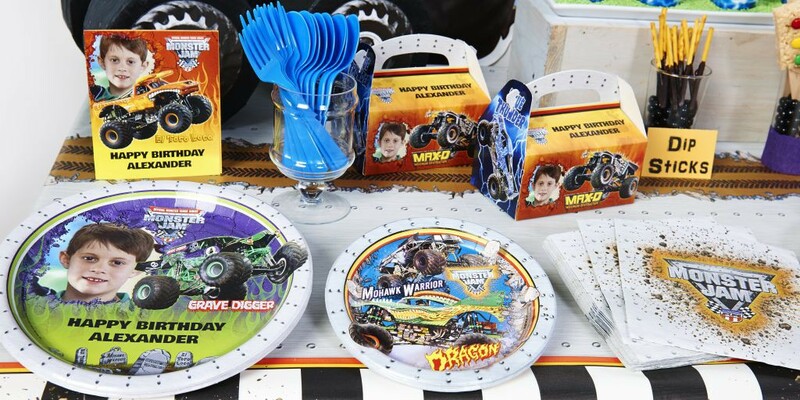 You can put your child’s name and picture on plates, favor boxes and invitations, plus a really cool table centerpiece. 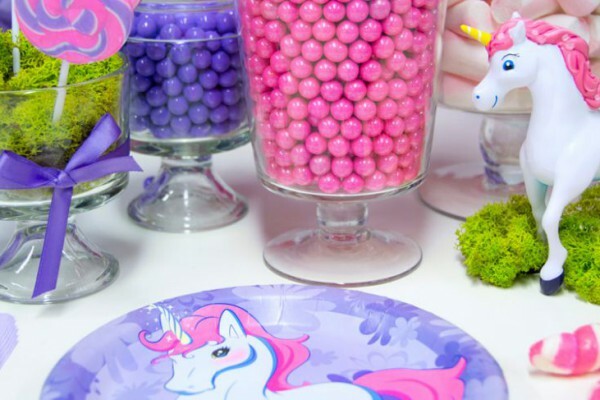 Your child’s face will light up when they see it reflected back at them in the tableware and decorations at their party. 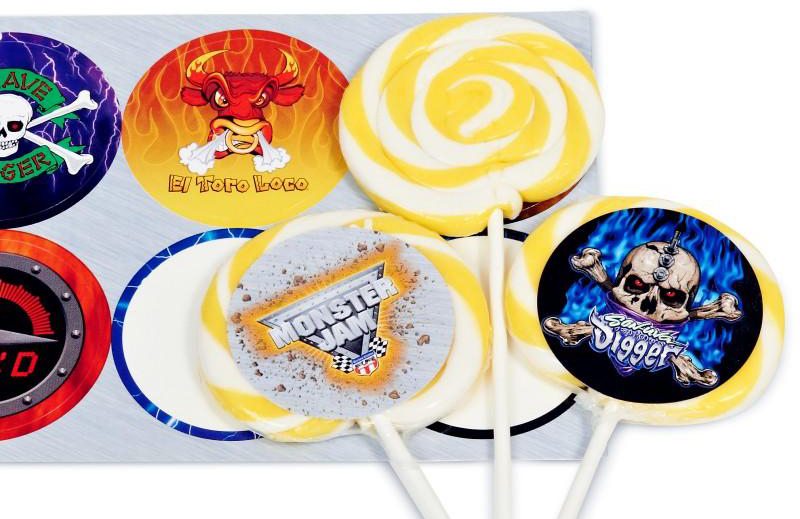 Get everything you could possibly need for the festivities in our personalized Party in a Box. 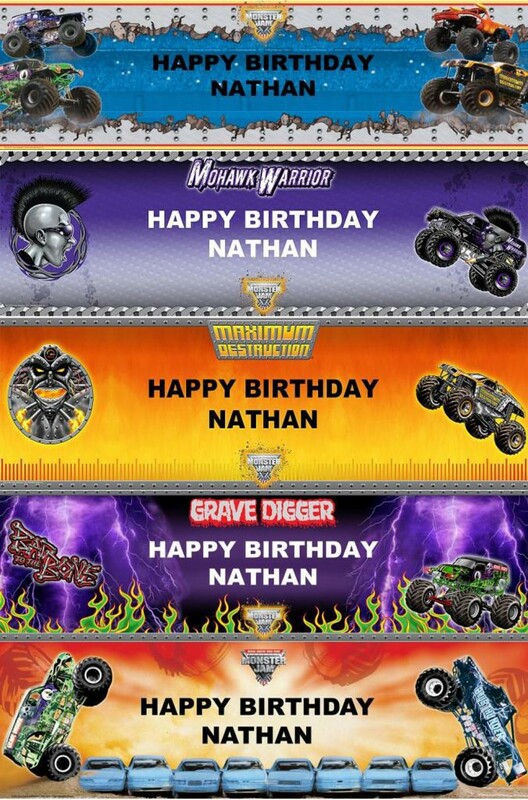 And if that’s not enough, we have personalized banners that will wish your little Monster Jammer a very Happy Birthday, no matter which truck is their favorite. 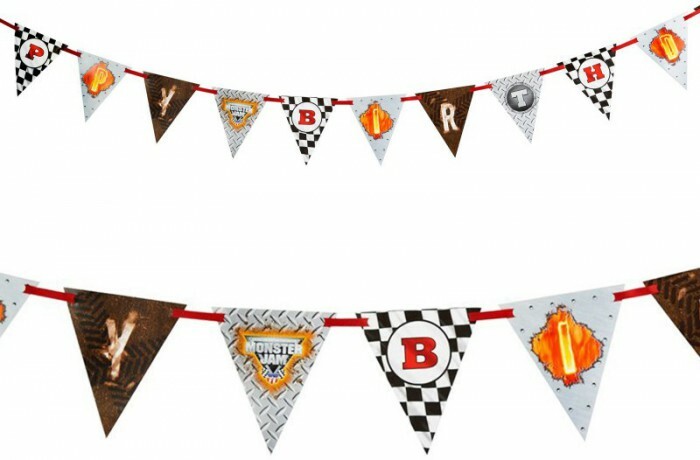 You also have the option to add a photo of your child to some of these banners as well. Or, alternatively, you could choose a more traditional flag banner. 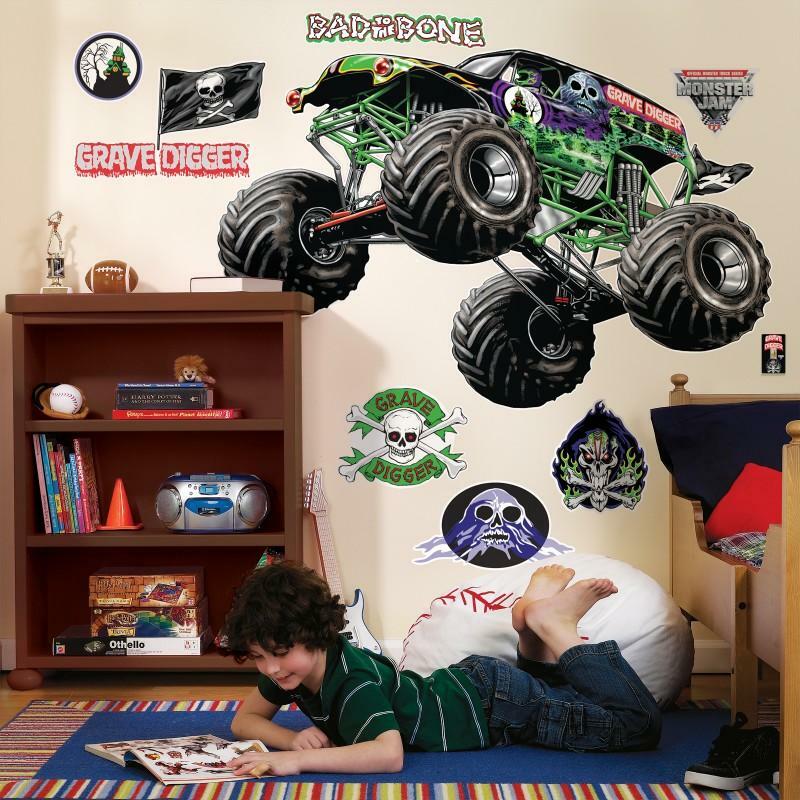 As another idea for party decorations, you may decide use these giant removable wall decals. 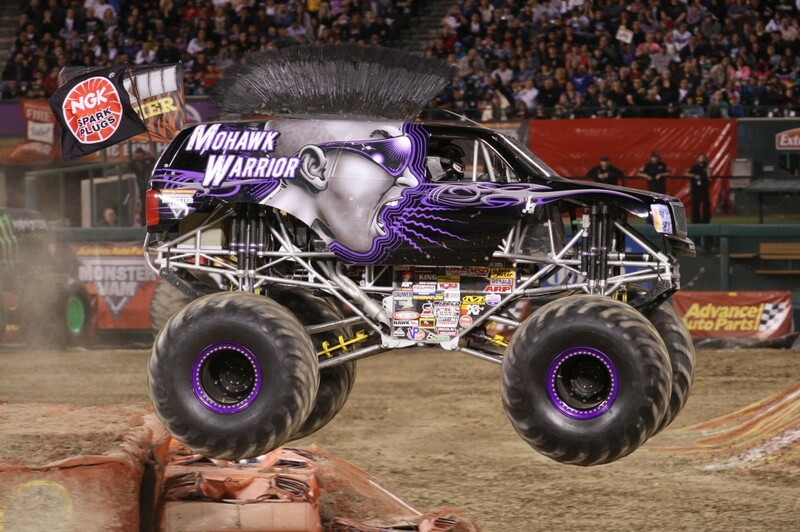 … Mohawk Warrior, and others. 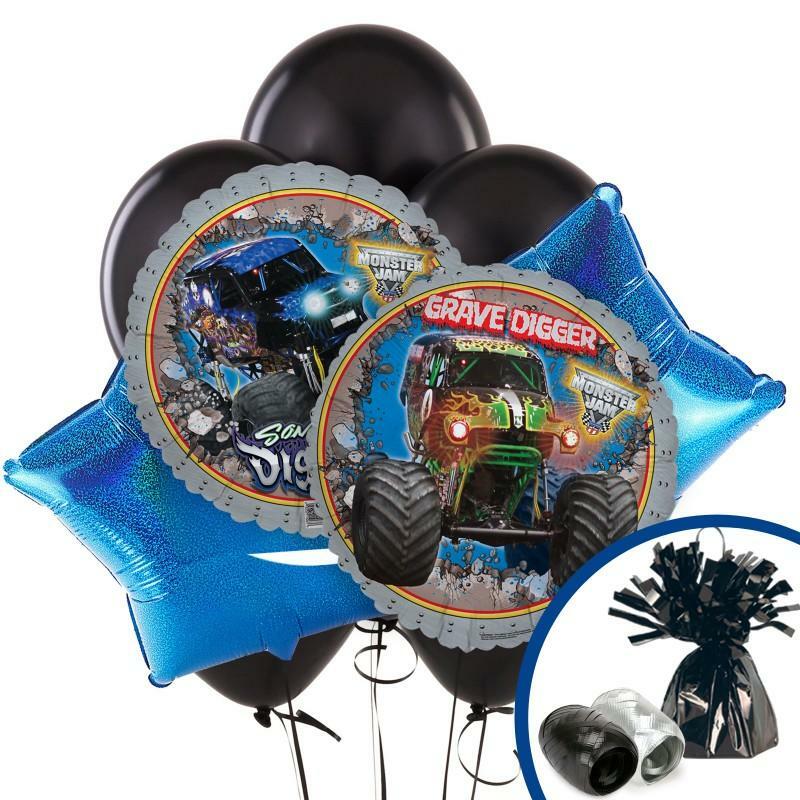 Of course, every party needs balloons, and we’ve got you covered there too, with our Monster Jam Balloon Bouquet. But if you really want to bring the WOW! 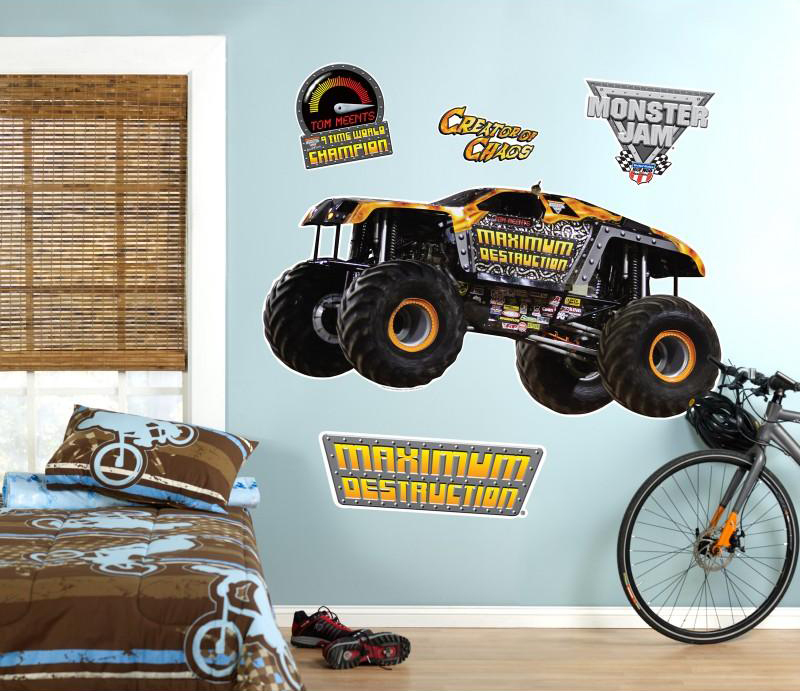 factor, you need this enormous 3D Monster Jam Wall Burst. 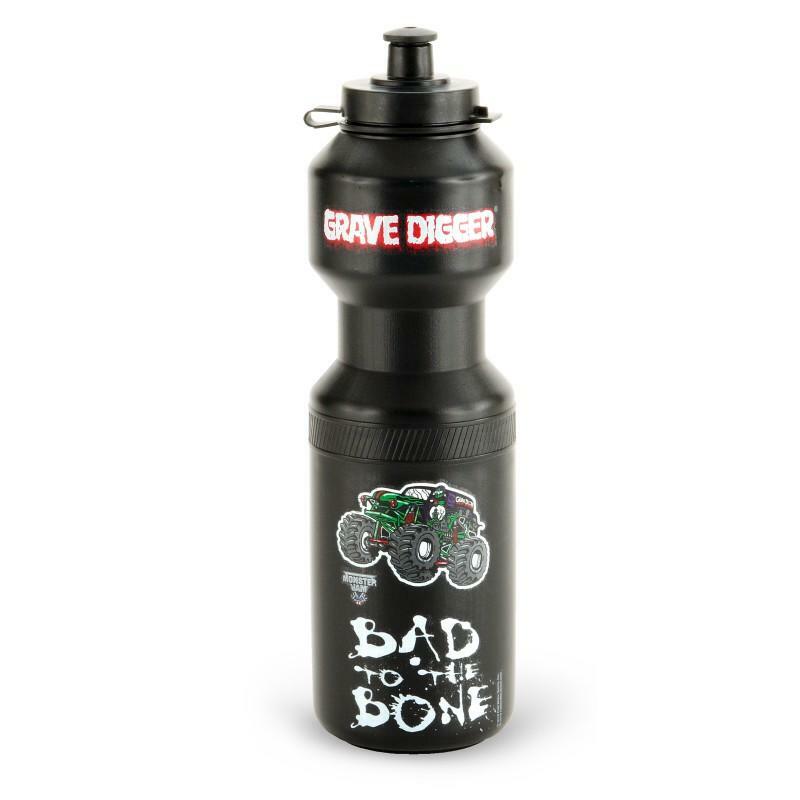 It comes right out of the wall and right into the party! 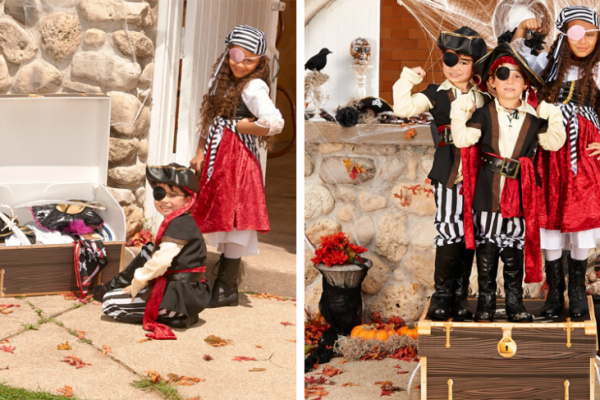 At almost 3 feet tall and almost 4 feet wide, this item will become the focal point of your entire party decoration scheme. 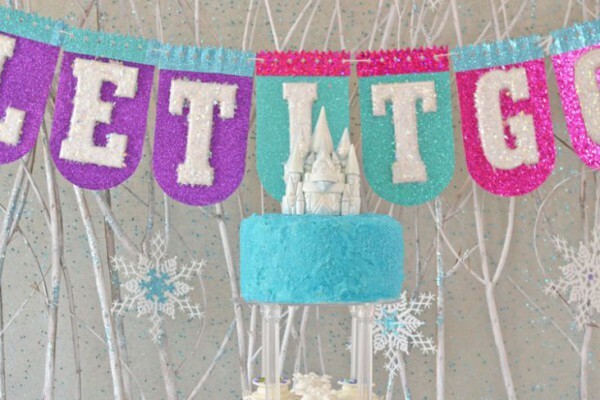 If you want to combine a decoration with a tried-and-true party activity, there’s really only one way to go — you need to get a piñata. 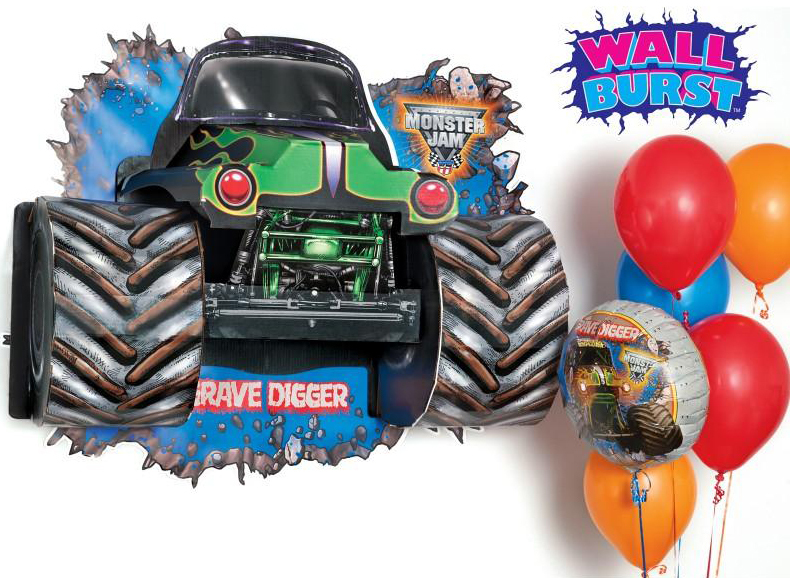 Luckily, we have this great Grave Digger Monster Jam piñata, which can also be used as a decoration elsewhere in the party. 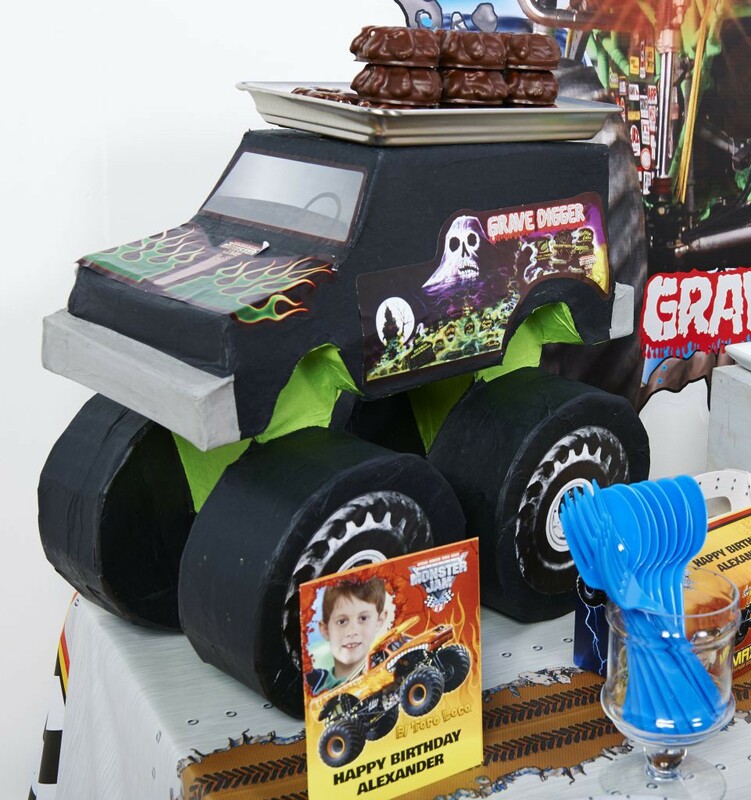 Here you can see the pinata used as a tabletop decoration, primarily as a mode of conveyance for a delicious party snack that we’re calling “Monster Truck Tires.” They’re really just chocolate covered cruller donuts. Adding authentic mud is optional. 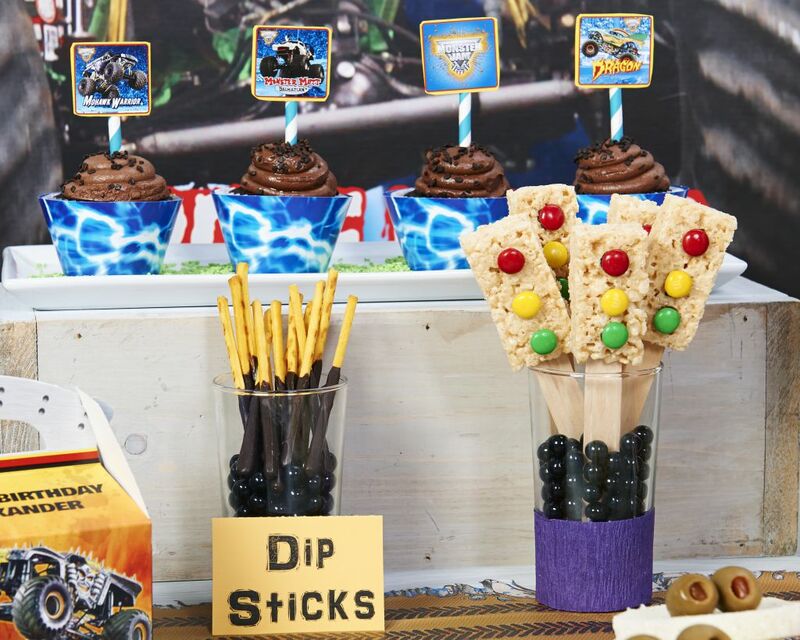 For more snacks and birthday treats, check out these ideas and recipes. These are simple store-bought chocolate cupcakes with chocolate icing and chocolate sprinkles (again with the mud motif), but we dressed them up in our blue lightning cupcake wrappers. 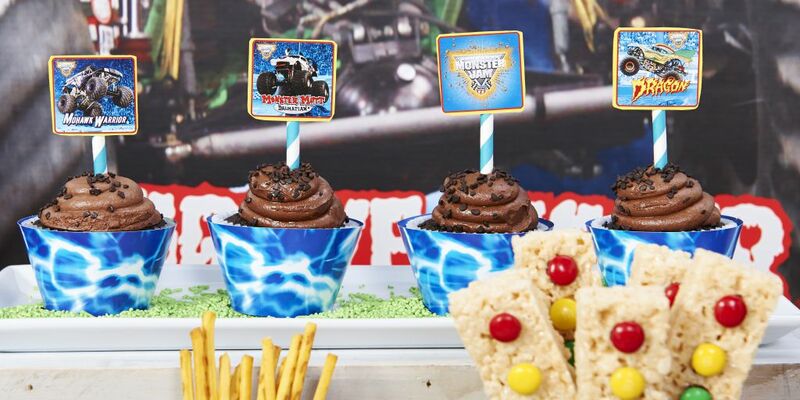 Then we fashioned some improvised cupcake picks by sticking some of our Monster Jam stickers to pieces of cardstock, and hot-gluing those to our striped paper straws. 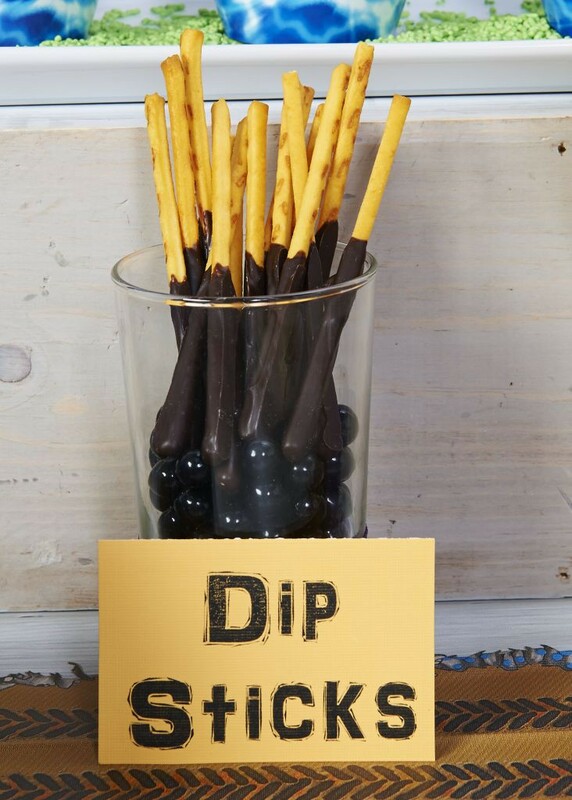 For these “dipsticks,” we used store-bought Pocky sticks, but you could make your own with pretzel rods and candy melts. 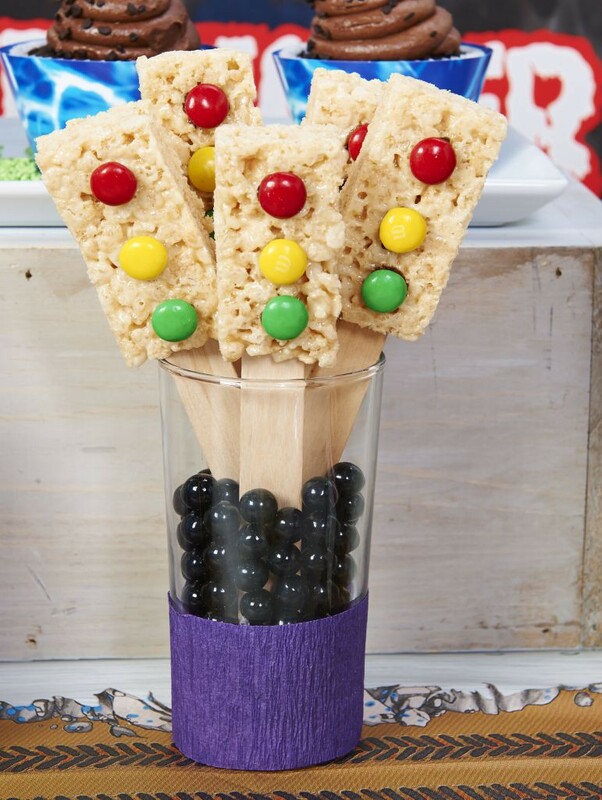 For these ultra cute Rice Krispy Traffic Lights, we cut homemade treats into rectangles and slid them onto these oversize popsicle sticks–available at most craft stores. Then, using three dots of chocolate frosting, we attached three M&Ms in red, yellow and green. Depending on the size of your rectangles, you might want to use the peanut butter variety of M&Ms, which are a little bigger. 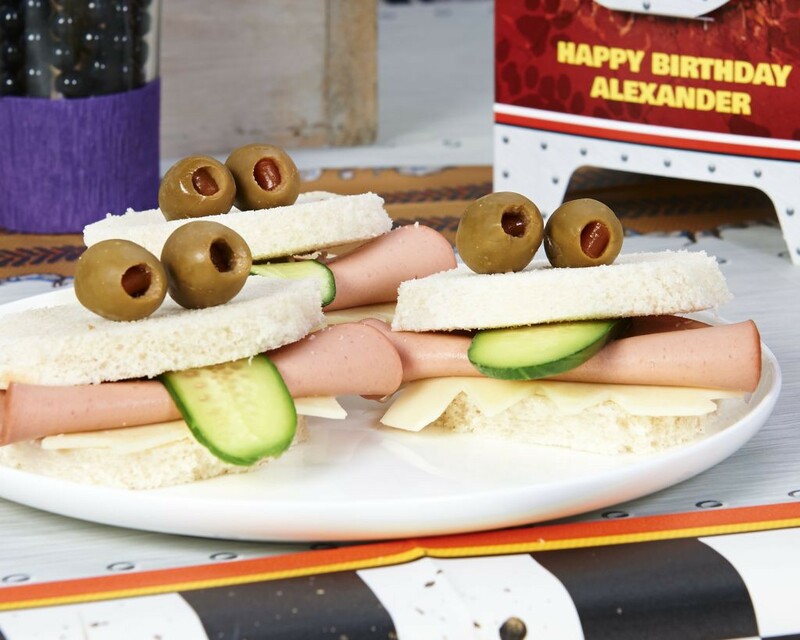 These “closed-face” sandwiches are just made with just lunchmeat, cheese, a pickle slice for the tongue, and two olives for the eyes. 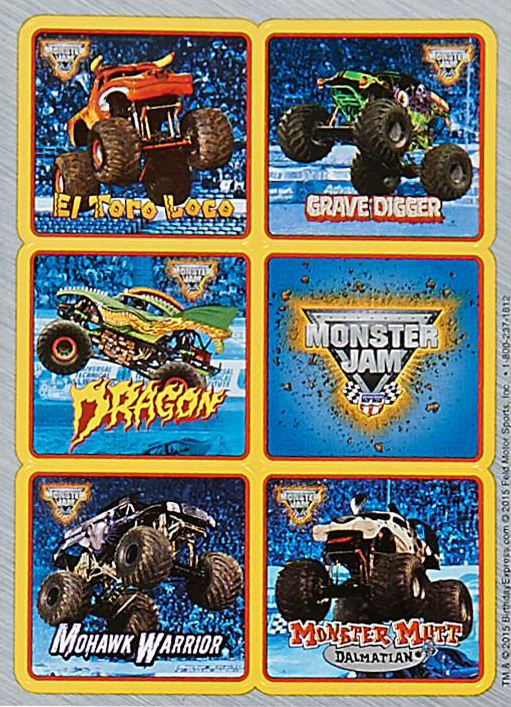 They don’t really have anything to do with Monster Jam, but what kid wouldn’t want to eat a sandwich shaped like a face? 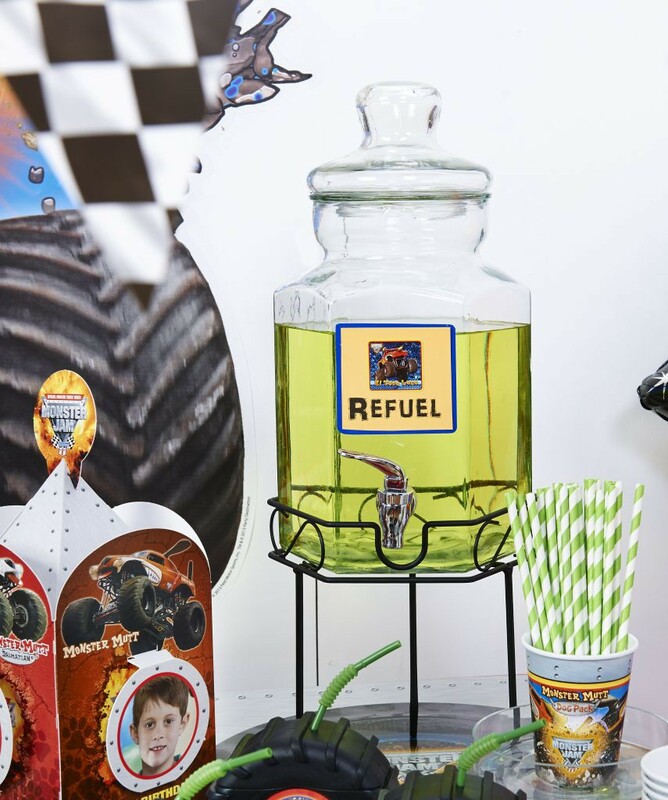 For a yummy, refreshing beverage that matches the party theme, our “Fuel Tank” is just a cold drink dispenser filled with limeade. 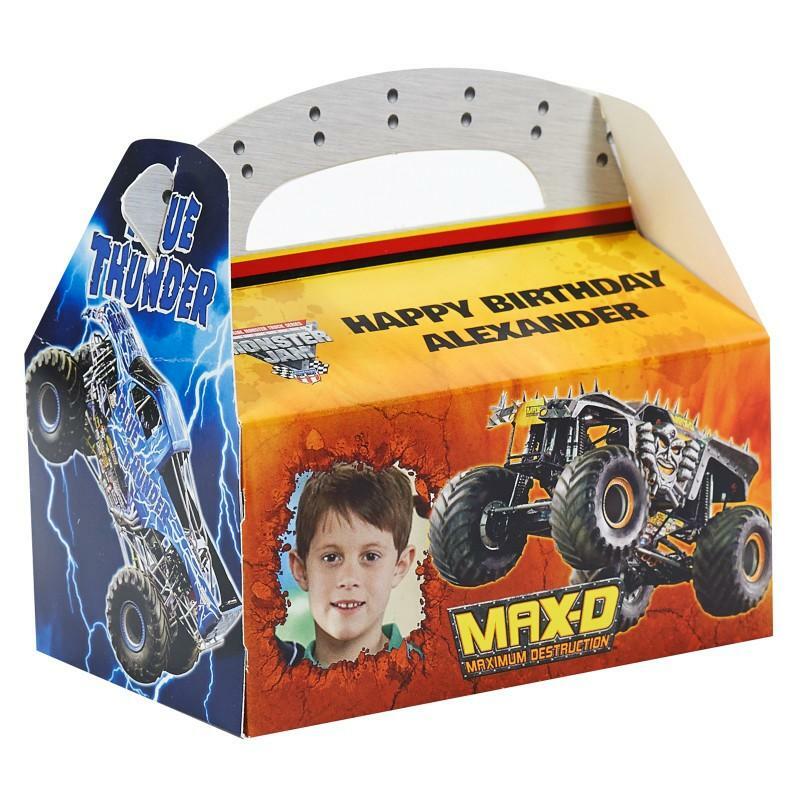 These personalized photo favor boxes are perfect for sending the little trucksters home happy, with treats and toys matching the theme. 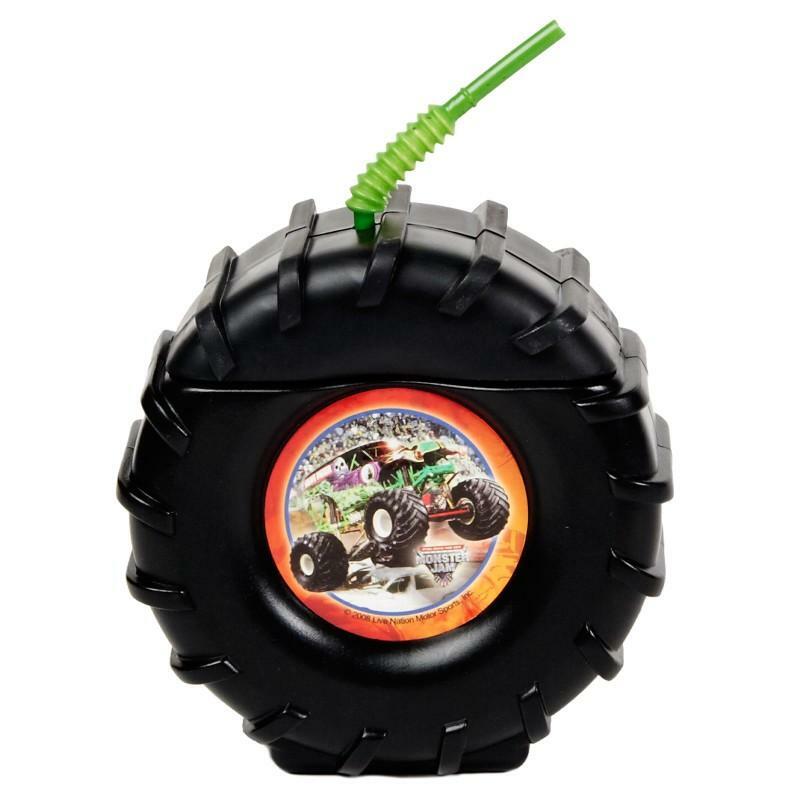 and this awesome truck tire straw cup. 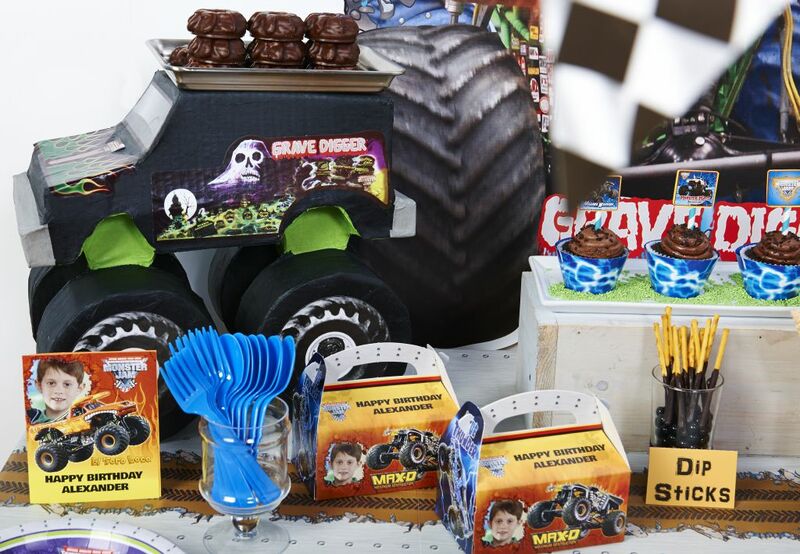 Get fired up for a Monster Jam birthday party, with party supplies from Birthday Express! 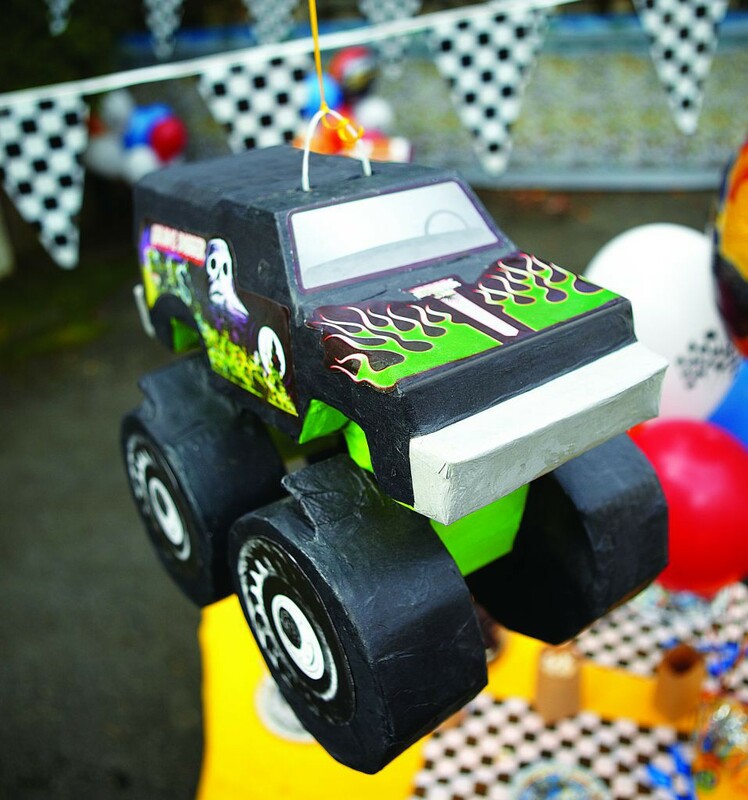 Have you been inspired by the awesomeness of a Monster Jam Birthday Party? 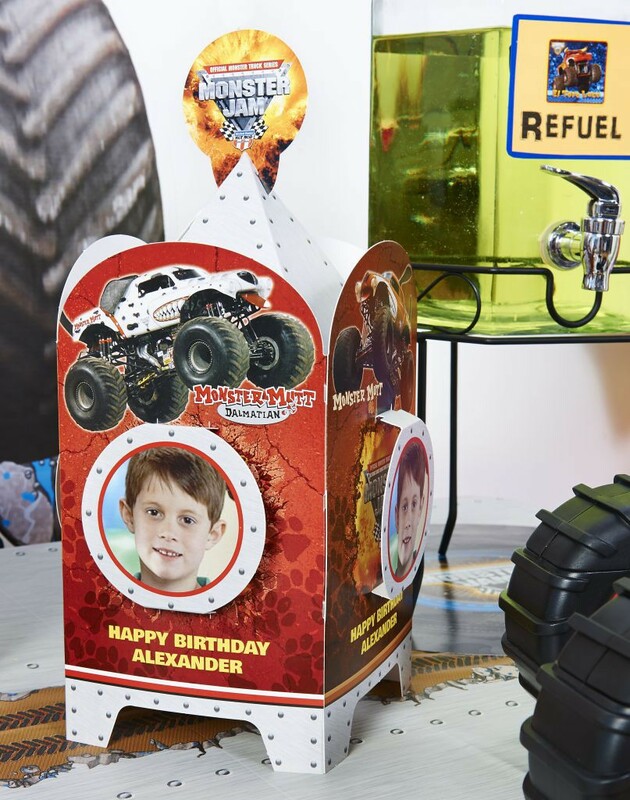 Check out all of the Monster Jam party supplies and decoration available at BirthdayExpress!